The Institute of Cost Accountants of India released a new notification about ICWAI/CMA Final Syllabus 2016. ICWAI announced that they are going to make some changes in ICWAI Final syllabus from Dec 2016 in that notification. Under ICWAI Syllabus 2016, the first examination is conducted in December, 2016. ICWAI has changed the name of ICWAI Final course to CMA Final Course. The CMA Institute has clarified vide Notification No. CMA (1)/2016. The last Examination under old CMA Final Syllabus 2012 is conducted in December 2017 term of examinations. 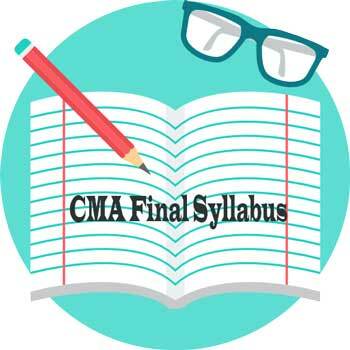 The First CMA Final Examination under “New CMA Final Syllabus 2016” is conducted in June 2017.